California Supreme Court Associate Justice Carol A. Corrigan will chair the commission. SAN FRANCISCO—Chief Justice Tani G. Cantil-Sakauye announced today the creation of the Commission on the Future of California’s Court System to study and make recommendations to improve the state’s court operations and accessibility. In the next two years, the commission will examine ways to increase the efficiency of adjudicating cases in civil, criminal, traffic, juvenile, and family law matters, as well as ways to enhance the underfunded court system’s fiscal stability. The Chief Justice announced the commission’s leadership today; further members and subcommittees will be appointed at a later date. 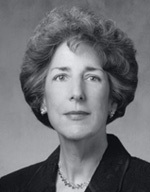 Supreme Court Associate Justice Carol A. Corrigan will head the commission. Justices, judges, and court executives from a cross-section of courts will serve on the commission’s executive committee. In addition, liaisons from public and private sector entities such as state and local government, the bar, labor, business, and other public policy groups will provide essential expertise. Administrative Presiding Justice William R. McGuiness, of the Court of Appeal, First Appellate District, will serve as the commission’s vice-chair. Other members of the executive committee include: Justice James Humes and Justice Peter Siggins of the First Appellate District, Justice Steven Perren of the Second Appellate District, Justice Louis Mauro of the Third Appellate District, Justice Judith Haller, Justice Douglas P. Miller, and Justice Kathleen O’Leary of the Fourth Appellate District, Justice Charles Poochigian of the Fifth Appellate District, Justice Patricia Manoukian of the Sixth Appellate District, Judge Stacy Boulware-Eurie and Judge Emily Vasquez from the Sacramento Superior Court, Los Angeles Superior Court Judge Carolyn Kuhl, Santa Clara Superior Court Judge Patricia Lucas, San Bernardino Superior Court Judge Marsha Slough, Monterey Superior Court Judge Carrie Panetta, retired Placer Superior Court Judge Richard Couzens, Santa Clara Superior Court Executive Officer David Yamasaki, Placer Superior Court Executive Jake Chatters, and Fifth Appellate District Clerk/Administrator Charlene Ynson. Former State Bar President Patrick Kelly has been named as a special liaison to the executive committee. Lead administrative support will be provided by Jody Patel, Chief of Staff for the Judicial Council.